In honour of his jaw-dropper against Chelsea, Liverpool’s official YouTube account uploaded a lovely compilation of Jordan Henderson’s ten best goals for the club. He arrived in 2011 and has bagged 23 in total, but judging by this list – a large number were great ones! The top 5 especially feature some absolute pings, including an effort against Burnley we’d forgotten about. His swinging volley against Norwich isn’t too bad either! Naturally, the Chelsea effort comes out on top. It was something special. 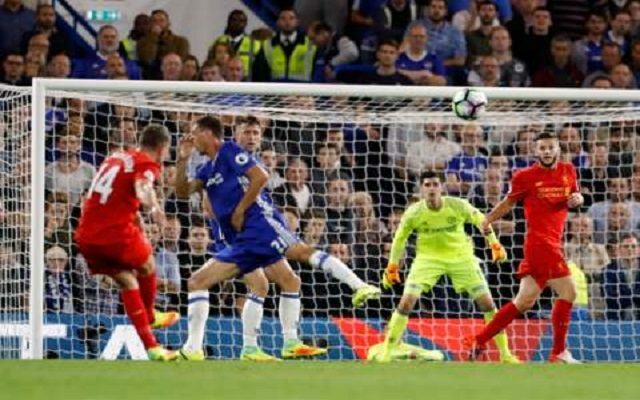 If you looked up ‘top bins’ in the dictionary in a fe years’ time, you’ll see an animated gif of Hendo’s Stamford Bridge stunner!